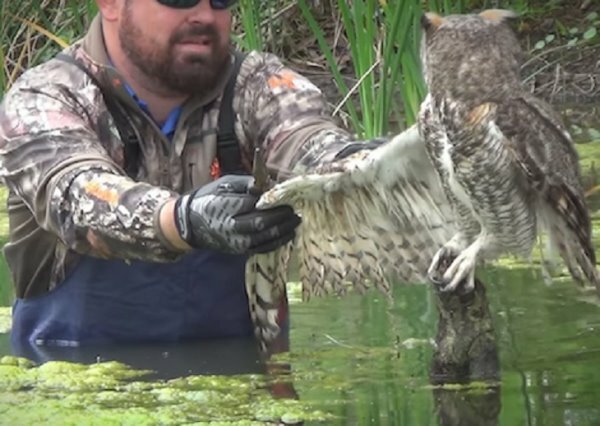 When Craig Loving heard that there was a frightened Great Horned Owl trapped in the local golf course pond, he sprung into action. 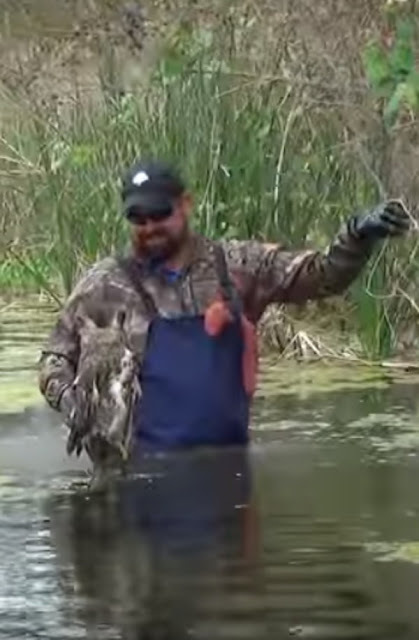 Without thinking twice, Craig jumped into the water and waded out to the helpless bird. 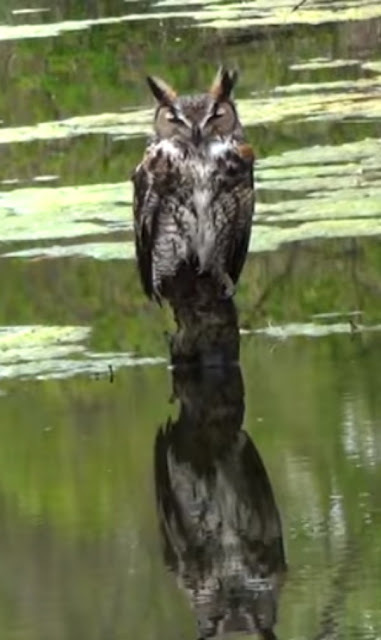 Craig noticed that the owl’s foot was entangled in a heap of fishing wire and knew that he had to work fast. But he also had to proceed carefully and use extreme caution. Fortunately for Craig, this nervous Great Horned Owl opted not to attack. It intrinsically knew that it’s life was at stake. But instead of trying to flap its wings or using its sharp talons, the owl waited patiently as Craig did his best to free him. It almost seems as though this intelligent bird knew that Craig wasn’t going to harm him and that he was in good hands. 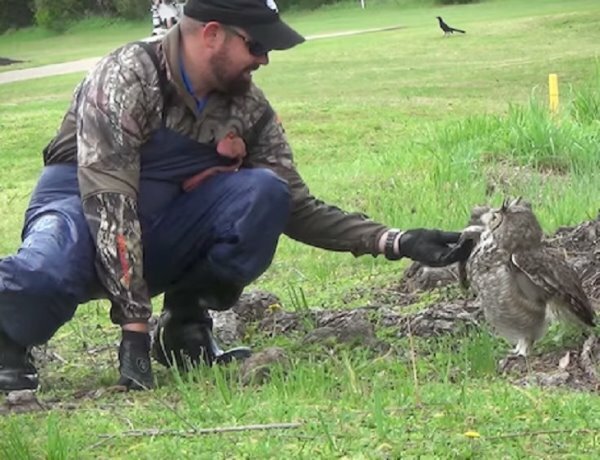 The owl sensed that it had to be patient and wait on this human to save it. Watch the daring rescue for yourself in the video below, and please SHARE it with your friends!